The C-X75 has fallen victim to the economic downturn in Europe. Note: an earlier version of this story had an incorrect photo. 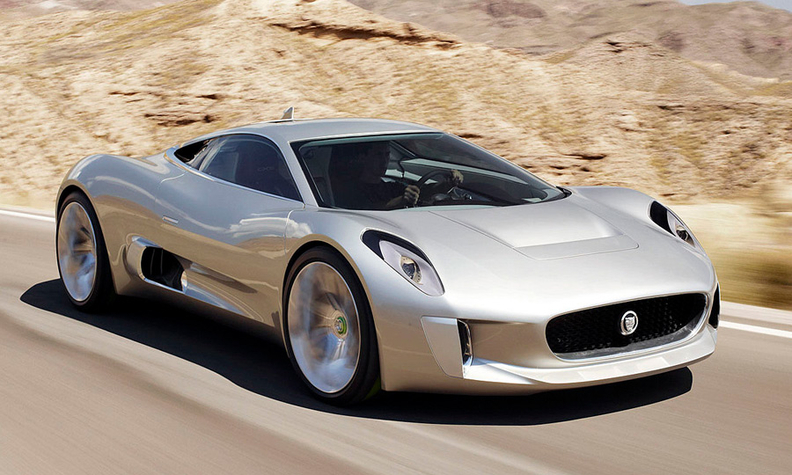 LONDON -- Jaguar said it will not build the hybrid C-X75 supercar, citing global economic pressures. The British luxury brand announced in May last year it would build 250 units of the two-seat car that would sell at prices up to 900,000 pounds ($1.5 million). "After a thorough re-assessment of near-term market conditions, the company's view is that the global economic landscape does not currently support the introduction of a supercar such as C-X75," the company said on Thursday. The C-X75 would have faced stiff competition from three forthcoming hybrid supercars: the new Ferrari Enzo, the McLaren P1 and the Porsche 918. The C-X75 was unveiled as a concept at the 2010 Paris auto show. It was powered by four electric in-wheel motors with the battery pack fed by two micro turbine engines. Jaguar claimed a power output of 780hp. Jaguar dropped plans to use turbine engines for the production C-X75, saying the car would be a plug-in hybrid powered by a 1.6-liter gasoline engine and electric motors. It said the car would have a top speed beyond 200 mph (322 km/h), but have low fuel consumption with CO2 emissions below 99g/km. Jaguar formed a partnership with the Williams Formula 1 team to develop the C-X75's carbon fiber chassis, hybrid technology and the aerodynamics. Jaguar brand boss Adrian Hallmark said the technology showcased in the C-X75 wouldn't be dropped, without being specific. "We have achieved an incredible amount and will continue to test and develop these technologies, which are highly relevant to Jaguar Land Rover's sustainable future," he said. Land Rover said in October it will build a hybrid version of the new Range Rover, while Jaguar has tested an EV version of its XJ limousine.